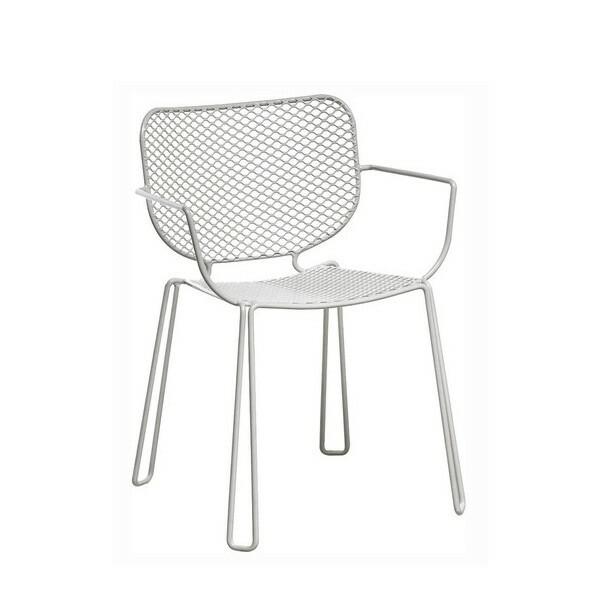 A white outdoor chair with bags of character made from steel tube and steel mesh. Regular chair (no arms) also available, see related products below. Must be ordered in quantities of 4.